Visit the Necropolis of Thebes and the Valley of the Kings on a full-day trip to Luxor from Cairo that includes round-trip flights, all transfers, and guided tours in Luxor. Explore ancient tombs of Egyptian pharaohs, eat lunch at a local restaurant, then walk the Avenue of Sphinxes at the Temple of Karnak. 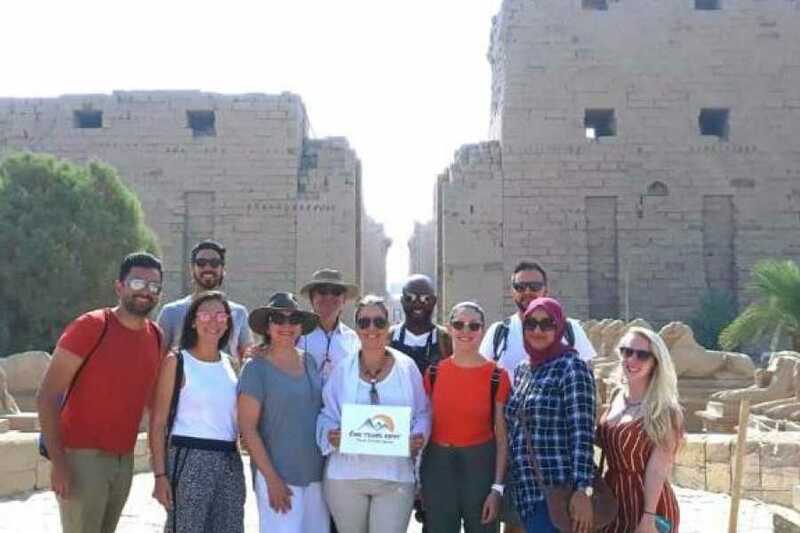 This Luxor tour is a cost-effective way to make the most of your time in Egypt, with an Egyptologist guide to help bring the ancient world to life. Meet a driver at your hotel at 4am for transfer to the airport, where you’ll catch a short, domestic flight to Luxor International Airport. A tour guide will greet you upon arrival at the airport, then go over the day’s itinerary on your way to the first stop of the day, the Necropolis of Thebes. Cross the Nile River into the Valley of Kings, then visit a series of tombs and temples, including the Temple of Deir el-Bahari and the Colossi of Memnon. Learn about ancient Egypt’s legendary female pharaoh at the Temple of Queen Hatshepsut, then pause for lunch at a nearby restaurant. Head back to the east bank of the Nile River to see the Luxor Temple and the Temple of Karnak. After a guided tour of Luxor Temple, hop a bus or carriage to Karnak, where you’ll enter the temple complex by walking a long line of fierce-looking sphinxes. You’ll see a series of temples dating to different reigns, from the 134 columns of the Hypostyle Hall to the Temple of Amon, the Granite Scarabeus of Amenophis III, and the Sacred Lake. Following your time at the Temple of Karnak, travel to the Luxor International Airport to board a flight back to Cairo, where a driver will meet you for the return trip to your hotel.